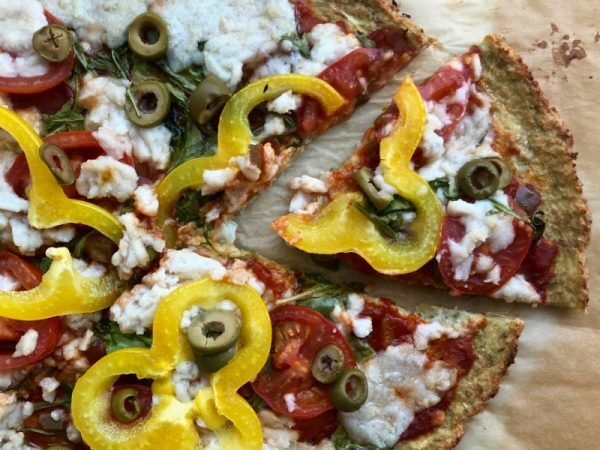 A gluten-free, dairy-free pizza crust recipe. 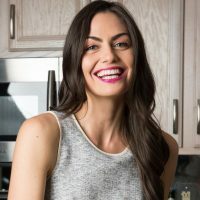 Pizza was traditionally my favorite food, although, after giving up dairy 10 years ago and gluten about 5 years ago for health reasons, I no longer eat it, in the traditional way anyway. Every once in a while I will have a dairy-free, gluten-free pizza at a restaurant or make some variation of these quick tortilla pizzas. 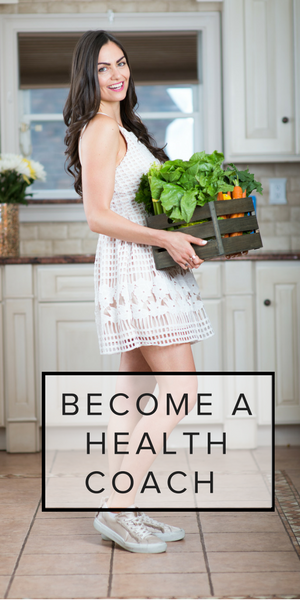 But, when I’m trying to help get someone interested in a healthy lifestyle (like my sister or parents!) 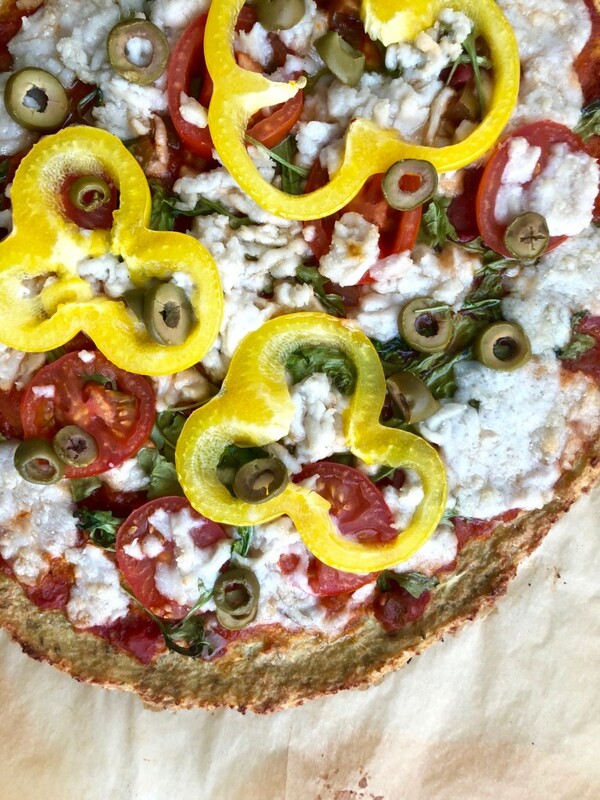 I’ll make the extra effort to make them this dairy-free cauliflower crust pizza. It’s easy to make, but it does take a few extra steps then my usual dump everything in a pot and cook strategy. 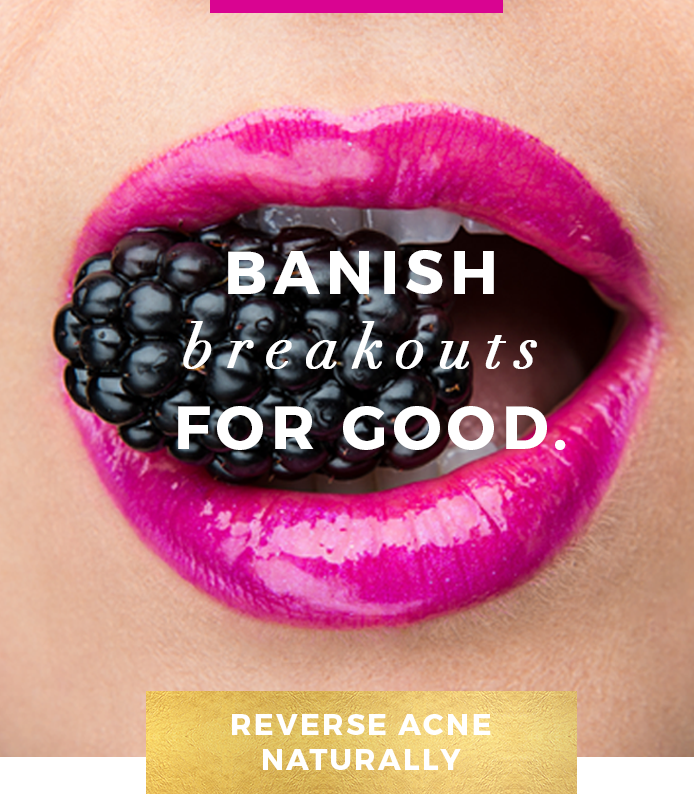 But, I’d say it’s worth it! In the past I’ve posted a few variations of this, like this Golden Cauliflower Garlic Bread with Cashew Basil Pesto, or these Cauliflower Breadsticks. One of my clients recently told me she uses the cauliflower breadstick recipe to make avocado toast, and loves it! This recipe suggests a cook time of 30-35 minutes for the crust, but for an even crisper crust, you could cook longer, up to 40 minutes. For a softer, quicker cooking crust, you can cook as little as 20 minutes, but you will have to eat it with a knife and fork, as the sauce will make your pizza a little limp in the middle if you elect to go this route. It’s still delicious this way! You can of course use tomato sauce on your pizza, but you could also switch it up with salsa, hummus, tapenade, or cashew basil pesto. 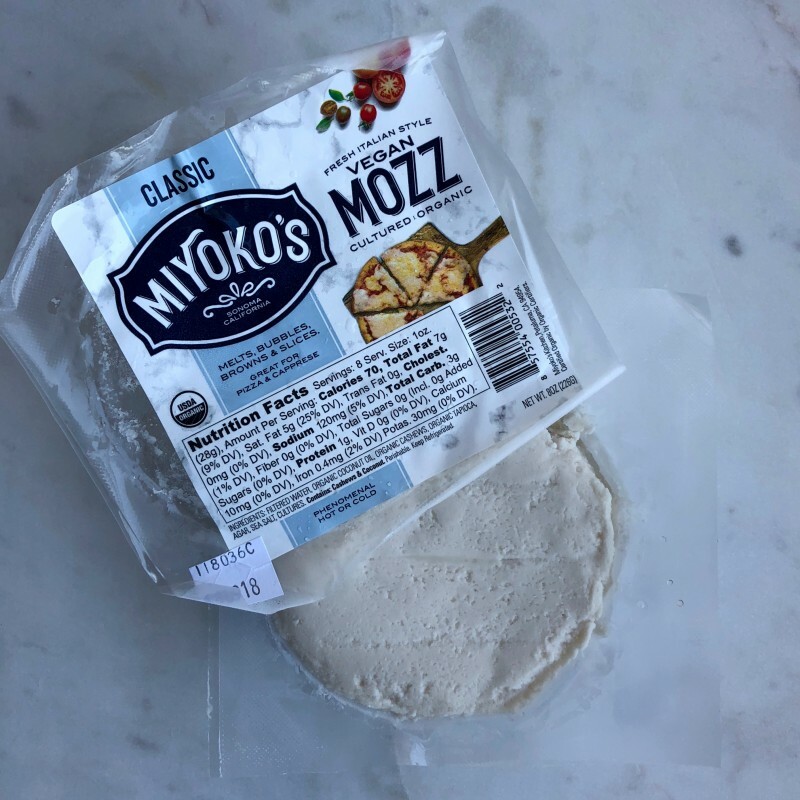 While you don’t need to add a cheese, if you are going to include one, I highly recommend Miyoko’s Vegan Mozz made from cashew and coconut oil. It really tastes and looks like mozzarella. This is the best vegan cheese I’ve tasted, has the cleanest ingredient list, and melts well. I use about 1/4-1/3 of the block. I typically buy it at Whole Foods, Fairway or health food stores, in the refrigerator section. You can throw on any veggies or toppings you like. 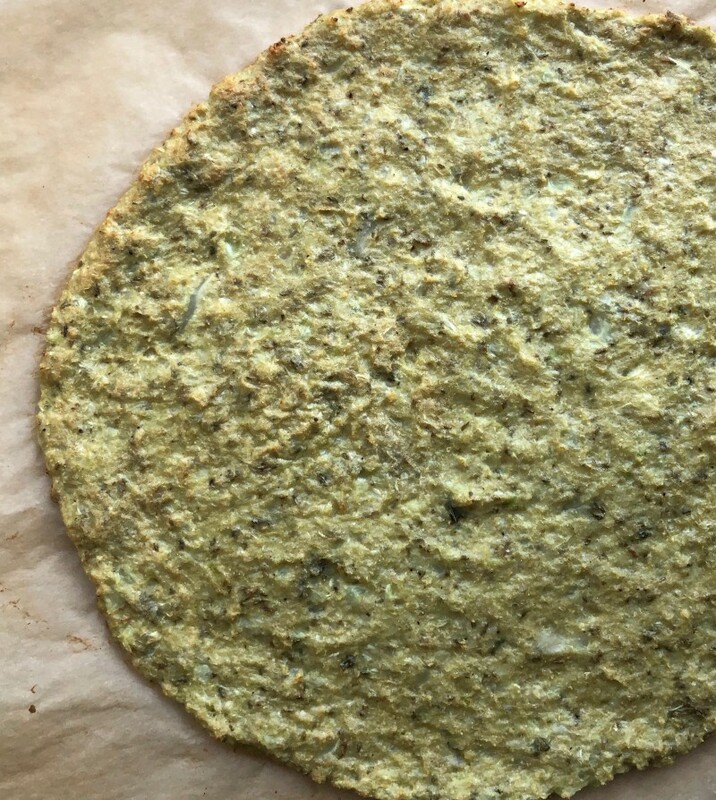 A gluten-free, dairy-free pizza crust made from cauliflower and cassava or almond flour. Put cauliflower in the food processor, and process until rice like consistency is formed. Steam for 5 minutes or saute in a large, dry pan over medium low heat for 5 minutes. Meanwhile, combine the eggs, flour, and all spices in a medium size bowl. Set aside. 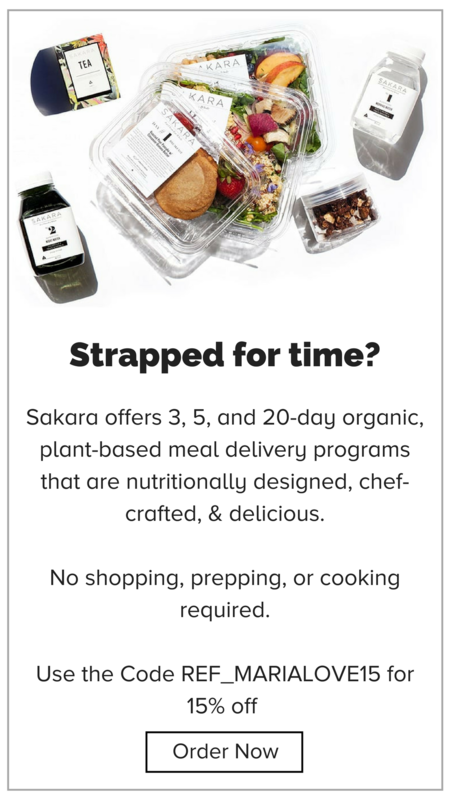 When time is up, remove cauliflower from heat, let cool, and then use a nut milk bag, cheesecloth, tea towels, or paper towels to squeeze out excess liquid from the cauliflower (you will have to do this in batches). Then, add the cauliflower to the bowl with the eggs, flour, and spices. Mix well. Line a baking sheet with parchment paper, then divide the cauliflower mix in half, and spread each half onto the pan, to make two separate pizza crusts. You can make the crust round or square, just be sure to keep it just about 1/4-inch thick so it crisps up. Bake for 30-35 minutes. Then, add toppings of choice and bake again for an additional 8-10 minutes.